LAS CRUCES — Teammates don’t sugar coat things. Especially for freshmen. As the New Mexico State men’s basketball team prepared for last weekend’s game against unbeaten Fresno State, the Aggies’ gameplan centered around containing pre-season All-WAC center Greg Smith. 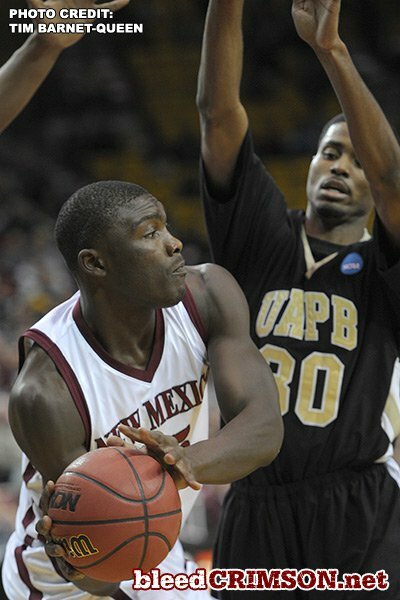 With Nephawe as one of the Aggies’ primary defenders in the interior, Smith was a non-factor in an 80-68 NMSU victory. He fouled out after tallying just six points in 20 minutes on the evening. Nephawe has provided a steady presence in the post for the Aggies, starting the last seven games while junior center Hamidu Rahman works back into form following a calf injury. Aggies coach Marvin Menzies points to Nephawe’s development as an ideal NMSU player, coming to school as a freshman and improving over the course of a full career in Las Cruces. He is averaging 5.8 points and 4.1 rebounds per game for the season while shooting an impressive 76 percent from the foul line. In three Western Athletic Conference games, Nephawe’s number have climbed to 9.3 points and 4.3 rebounds for the 2-1 Aggies. Not bad for a player who has been playing basketball for just four years — two in America after growing up in Johannesburg, South Africa. Nephawe entered the season as a likely backup to a deep front line. But a slew of frontcourt injuries have thrust him into action earlier than expected. Nephawe has earned the trust of his teammates in the post. 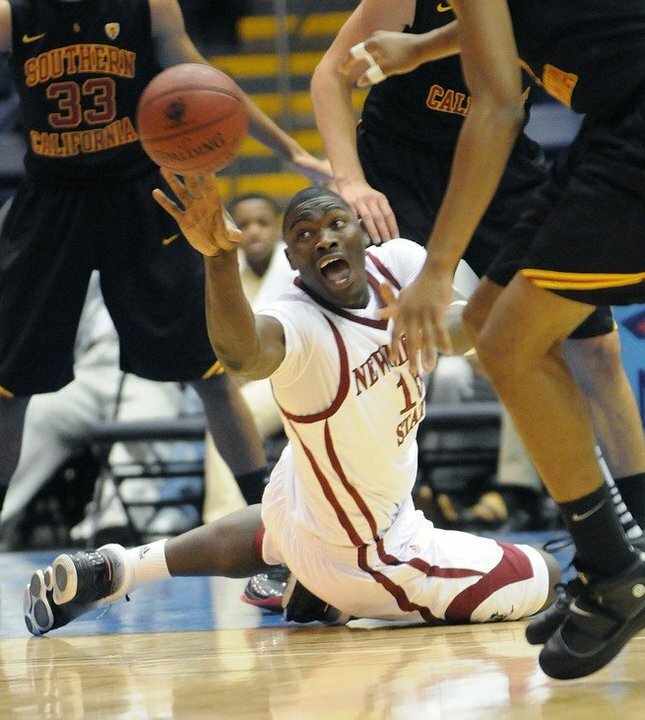 Nephawe’s season is typical of any freshman. After a career-high 13 point, seven-rebound performance against USC, he disappeared in rivalry game sweeps to UTEP and New Mexico. Nephawe fouled out twice against the Lobos in a combined 17 minutes of action. As Nephawe works on his post moves and develops into the rebounder and post defender the Aggies need him to become, perhaps it’s his skill as a good teammate that is his best attribute at this point of his career. Tshilidzi Nephawe has started the last seven games for the Aggies. Here are his numbers during that time.